If you’ve ever applied a hand crème and then had to wipe off your palms before you could do literally anything, you know that greasy hands are the worst. We know the struggle all to well, which is why we created Big Fat Yummy™ Hand Crèmes, or BFYHCs for short. Your hands deal with a lot and they deserve to be pampered, so we designed our Big Fat Yummy Hand Crèmes to make you feel spoiled. 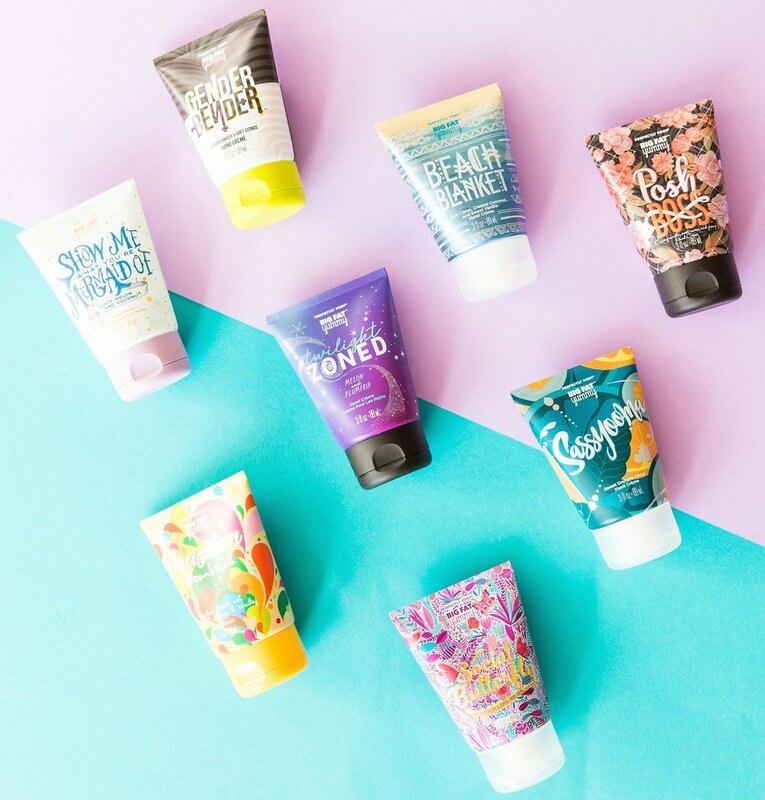 Big Fat Yummy Hand Crèmes are uniquely formulated with a blend of non-greasy apricot kernel oil, coconut oil, and vitamin E to deeply moisturize dry skin and cuticles. This blend absorbs fast, plus it contains hydrating aloe vera to quench thirsty hands. Vitamin A-rich apricot kernel oil moisturizes your hands without feeling greasy. Because the essential fatty acid content of apricot kernel oil is so similar to skin, it soothes faster than most other oils, plus it's non-comedogenic. Coconut oil is a rich, fast absorbing moisturizer excellent for even your driest hands. It’s full of antioxidants and its unique proteins promote the appearance of a more even, smooth skin tone. A powerful moisturizer and antioxidant, vitamin E reduces the appearance of aging hands and helps keep skin looking supple and smooth. Vitamin E is also a natural preservative, so it keeps Posh products fresher longer. Due to its ultra-hydrating abilities (aloe vera is 99% water) aloe helps reduce the appearance of fine lines and wrinkles that make hands look old, while soothing with a pampering blend of minerals, enzymes, and amino acids. We’re constantly adding new fragrances to our collection of Big Fat Yummy™ Hand Crème, so there’s something for everyone to love, like the creamy vanilla, sweet cassis, and peony scent of Posh Boss™ or the candied blackberry and jasmine in Social Butterfly™. Which BFYHC is your fave?